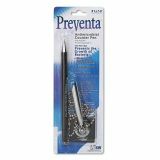 PM Company Preventa Deluxe Stick Ballpoint Counter Pen, Medium 1mm, Black Ink, Black Barrel - Counter pen with AgION technology offers deluxe chrome-plated holder. 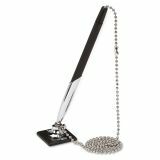 Includes 24" high-strength ball chain attached to square self-adhesive base. 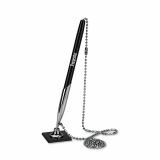 Features a chrome-plated brass tip for added durability. Includes high-density, acid-free, water-resistant, archival inks. Built-in AgION antimicrobial technology with A.J. 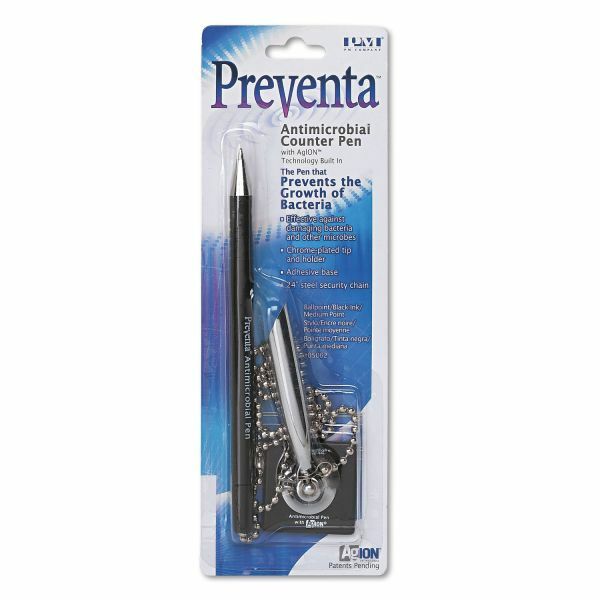 silver zeolite suppresses the growth of algae, mold, mildew and bacteria on the pen.